Select a painting from our calendar and register for the class you would like to attend. There are new classes each week. Some are selected paintings and everyone paints the same painting, other nights are "Your Choice" nights, where each person picks what they want to paint, and everyone can paint a different painting. When you paint two side by side painting that will hang together as a mini mural. Our Date Night is always "Men's Night" men paint free with one paying guest. You will find three or more date nights scheduled on the calendar each month. Have kids? We have you covered. Spark your child's creativity and imagination! 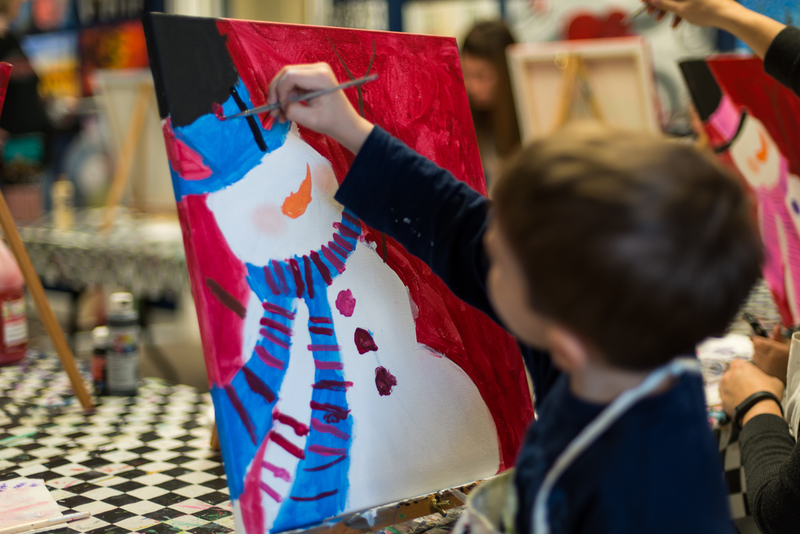 A Stroke of Art offers family friendly panting classes for children of all ages. There are after school classes, no school day classes and seasonal camps. We also have special "Family Painting Sessions" through out the year. Keep an eye on the calendar for these special events or sign up for our email Newsletter so that you won't miss any of the upcoming events.